This is a short post on my favorite nail polishes, that are great to wear in the winter! I like to wear darker colors in the winter. Actually I like dark colors throughout the whole year. 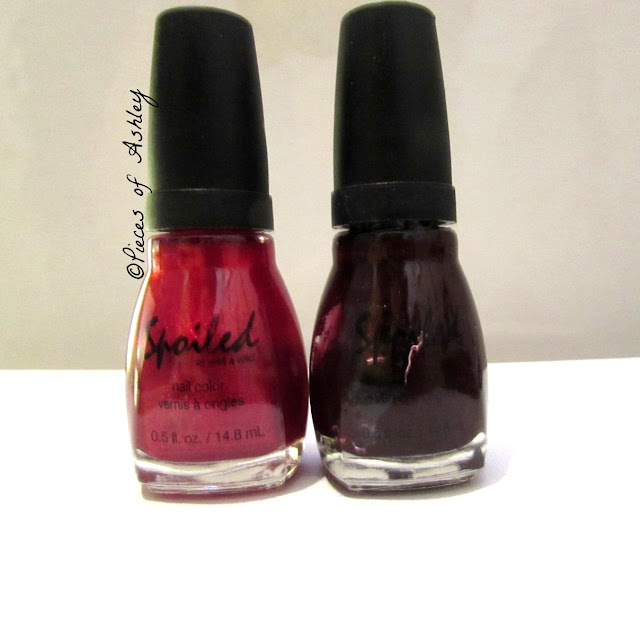 But I made an exception for two polishes. For me I either like light nail polish or dark polish, there is no in between. But for awhile now I've been liking red nail polish or anything in that spectrum of red. So here is a list of my favorite polishes to wear! I will admit that the names of these polishes are very persuasive to me. The polishes stay on awhile. For me it lasts for about a week to 2 weeks. I am crazy about my nails so if it chips I will take the polish off and put it on again. Is that crazy? I hope you enjoyed my favorite polishes for the winter! What are your favorite nail polishes to wear? I love the red shimmer shade. That is definitely my style. Let me know if you'd like to follow each other.